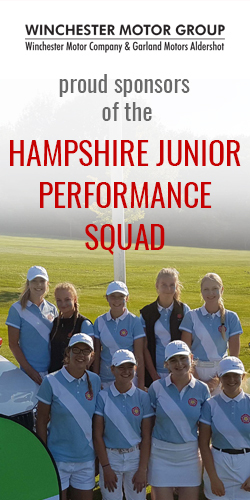 47 ladies took part in this year’s Scratch Cup at Liphook Golf Club where some pretty wet weather made for a rather slow 36 holes of golf on Saturday 3rd September. We are pleased to say that a number of ladies from Hampshire competed for the coveted prize. Aimee Paterson from Sherfield Oaks GC had rounds of 76 and 75 to secure 4th place on the leaderboard while Georgie Mundy from Corhampton GC also came in the top 10 with an aggregate score of 155.